Bold, courageous and relentless! These are just a few of the descriptors of the late Caren Franzini – a woman known as a friend, advocate and leader extraordinaire in the Capital City and throughout the State of New Jersey. “When we pull together, we move things forward,” was her motto. As the longest-serving chief executive officer of the New Jersey Economic Development Authority, Caren’s tenacious, yet collaborative approach transformed the economic development landscape of New Jersey – bringing in more than $567 million in financing, representing $1.4 billion in public private investments and 5,200 new jobs, in 2010 alone. As CEO of the NJEDA from January 1994 to October 2012, Caren became the only CEO to work with seven consecutive New Jersey governors to provide financing to small and mid-sized businesses, administer tax incentives to retain and grow jobs, revitalize communities through redevelopment initiatives, and support entrepreneurial development. Under her leadership, the NJEDA’s cumulative financing assistance exceeded $20.8 billion since its formation in 1974, supporting the creation of nearly 310,000 new jobs, with total investment surpassing $44 billion. After her tenure at the NJEDA, Ms. Franzini became president of Franzini Consulting, working with businesses and economic development agencies. In 2014, two years after launching her economic-development consulting firm, Caren became a trustee of New Jersey Future. For almost 20 years prior to that, she led the state’s Economic Development Authority. Recognizing the need to spur revitalization efforts in New Jersey’s Capital City, Ms. Franzini helped found Greater Trenton, an independent nonprofit that serves as a catalyst for economic development and revitalization projects in downtown Trenton. Having served as the first co-chair of Greater Trenton along with Bernie Flynn, former president and CEO of NJM Insurance Group, Ms. Franzini was dedicated to bringing jobs, businesses and places to live to the downtown. It was Mr. Flynn who initially suggested the creation of The Caren Franzini Capital City Award as an annual celebration that would revisit Caren’s vision and revolutionary work in support of Greater Trenton’s mission. The selection of Anthony R. Coscia, Esq., as the inaugural recipient of the award, further inspired the initiative as Mr. Coscia was recognized as Caren’s mentor. 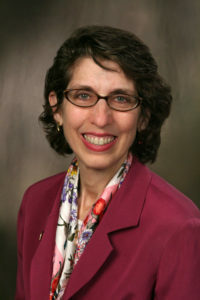 Prior to her work at the NJEDA and Greater Trenton, Ms. Franzini was an assistant state treasurer with the New Jersey Department of the Treasury. Before that, she was employed in the finance division of the Port Authority of New York and New Jersey and with Public Financial Management. Ms. Franzini served as chair of the state’s Urban Enterprise Zone Authority, vice chair of the New Jersey Schools Development Authority, and president of the Corporation for Business Assistance in New Jersey. She was also a member of the Board of Directors and was the past president of the National Council of Development Finance Agencies. She served on the boards of the New Jersey Technology Council, the New Jersey Chapter of the National Association of Industrial and Office Properties (NAIOP), the New Jersey Alliance for Action, Inc., the Southern New Jersey Development Council, and the Aviation Research Technology Park, and was appointed as a member of the State Planning Commission. With a Bachelor of Arts degree in Urban Studies from the University of Pennsylvania and a Master of Business Administration degree in Finance and Public Management from the Wharton School of the University of Pennsylvania, Ms. Franzini was prepared and poised to make a difference in the State. She has been widely recognized for her contributions to business growth and economic development in the state. She was a recipient of the New Jersey Chapter of NAIOP’s Industry Service Award, the New Jersey Technology Council’s John H. Martinson Technology Supporter Award, the New Jersey Business & Industry Association’s Paul L. Troast Award for her commitment to improving the state’s economy, and the Wharton Club of New York’s Joseph Wharton Award for Social Impact. She has also been honored with the Pinnacle Business Advocate Award from the Chamber of Commerce Southern New Jersey and the Distinguished Achievement Award from the Southern New Jersey Development Council. She was inducted into the New Jersey High Tech Hall of Fame in 2006 for her many contributions to the state’s technology industry.